Although innovations in medical care and supply delivery, has yet to yield significant savings for consumers. Online medical supply websites may offer significant savings. and may encourage doctors to abandon the “door to door sales driven” supply chain. Going through sales reps , has been a time-honored way of buying medical supplies is in the process of being challenged. Online marketers are now perusing physicians with offers to buy medical supplies online. Many companies such as Meidcalbuyer, Medibuyer and Neoforma are offering physicians 30% in savings on supplies. These could equal nearly $3,000 a year for each doctor in standard internal medicine practice savings. Websites can also give doctors and their staff easier ways to quickly order supplies conveniently and purchase hard-to find medical supplies. Still online medical supplies is a small upstart industry that must face some major hurdles. Many doctors offers have been slow to get online, Many doctors’ offices still d not have internet access, according to medicalbuyer, only about 22% of doctor’s offices have internet access. This indicates that many doctor offices and staff may not be digitally savvy. 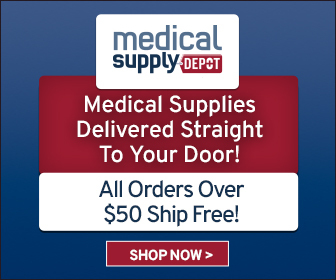 Even getting technically savvy physicians to purchase medical supplies online can be challenging, because many of these medical supply websites are less than two years old, causing critics to believe that these newer medical supply companies may not be able to deliver on the value, they claim they offer. Today, there is a growing number of medical suppliers as companies are racing to grab a piece of the $36 billion dollar a year medical supply industry, including traditional and medical supply web sites. Many online stores act as middlemen without ever taking ownership of the product, many taking orders and from a wide assortment of traditional suppliers and manufacturers. Many online stores target small physician practices, thus causing some fragmentation within the market, many online medical supply companies believe that they can break down barriers that they makes it difficult for large suppliers to work with small buyers. Physicians will not have pay any fees to order online, instead suppliers may pay a fee to list their product or may do exclusive distribution through certain online channels. You also can find some online medical suppliers that specialize in certain segments of the medical markets. Doctors can order online with within secured environments and get the support that they would immediate support from the online medical web site as well as fast delivery and after sales support. Doctors main benefit is that they well save drastically on cost as it is estimated that physicians spend nearly $100 to write, process, and fill an average purchase order for medical supplies, the web can significantly streamline this process. Online suppliers also have lower administration cost, for sales people and local distributors, thus passing these savings on doctors. With greater competition, will also yield larger cost savings.